Are there other adjacent buildings or structures near the work site? Is the location densely populated? 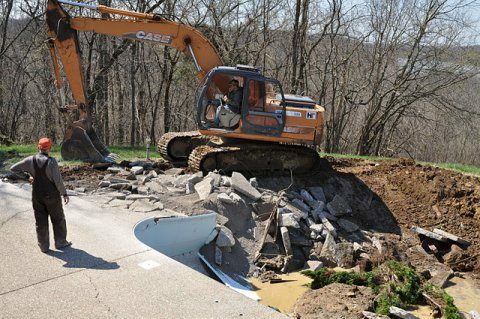 Can we bring the heavy equipment to the site without any problems? How stable is the building? Do we have to brace and buttress it to prevent a premature collapse? Do we have enough safe distance between our rig and the structure? Typically in commercial and industrial demolition, the need for high reach rigs is necessary to guarantee the speed of razing the whole structure to the ground and the safety of all the persons involved. 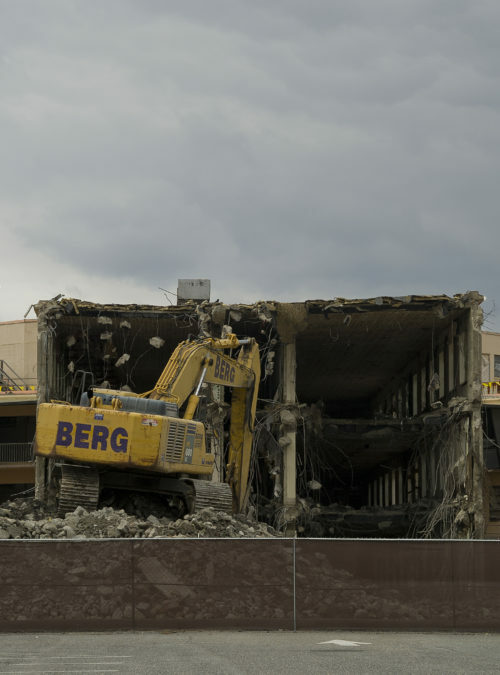 The high reach demolition involves the use of cranes, sticks, and booms to take down a building from top to bottom with the precision of a surgeon. When we say speed, we mean the fastest time possible without compromising the safety of our machine operators and the workers in the project site. We also have to consider the type of order from the client. Do they want just the building wrecked or we have to level the ground in preparation for future development? All these factors will go into how soon we can deliver on the request. 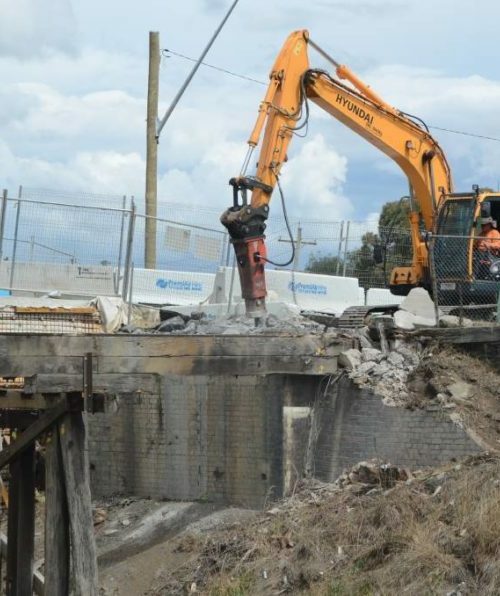 The use of high reach equipment has drastically improved the issue of safety related to the demolition. Instead of using excavators to trigger a collapse, the modern method extended the safety zone for the crane operator. 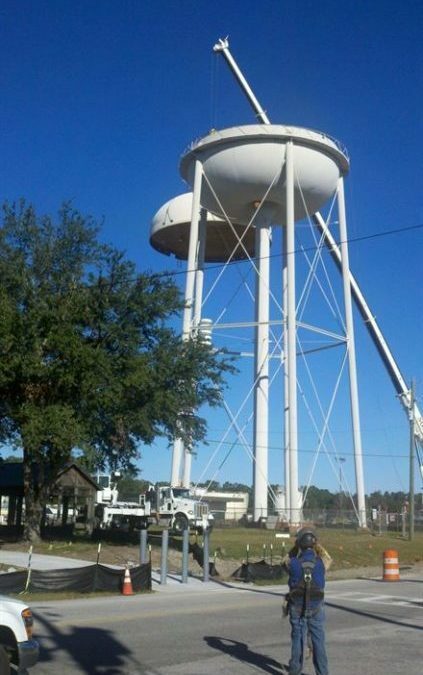 Our company invested in high-tech rigs so the job is completed in half the time it takes for some contractors to deliver. Our operators and safety engineers also have a combined experience of years and years after being in the industry for a little while now. 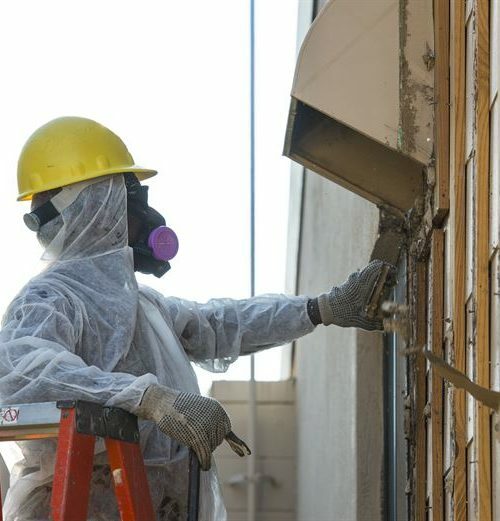 When we deploy our demolition experts to your project site, they bring with them the skills and knowledge—honed by years of experience and studying global best practices—to guarantee efficiency, safety, and superior quality results. 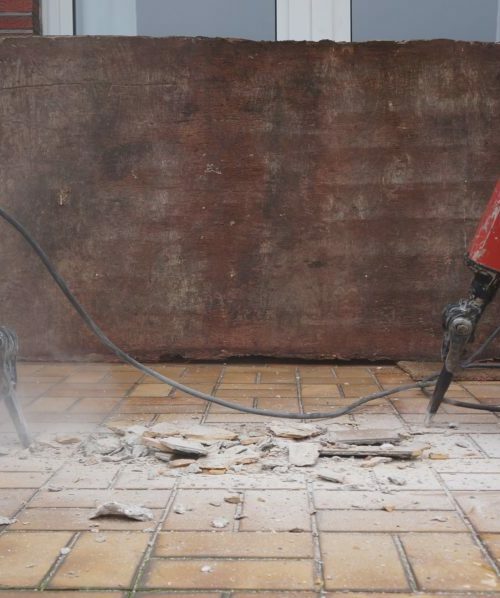 Is High Reach Demolition Right for You? 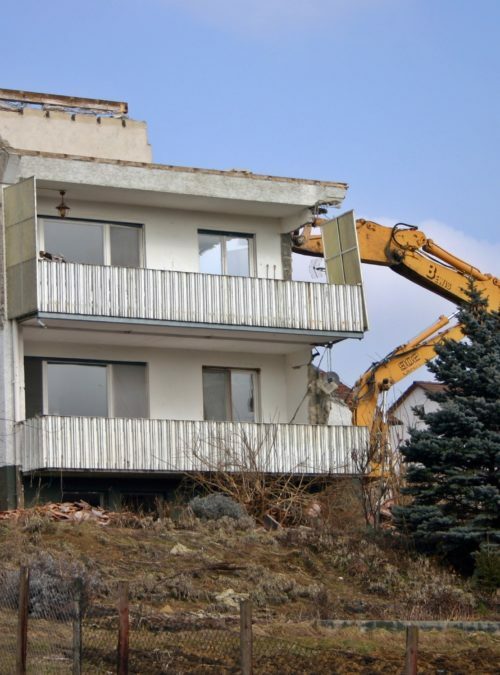 Even if the building is very high, it doesn’t automatically mean that the high reach demolition is the right procedure to level the property. 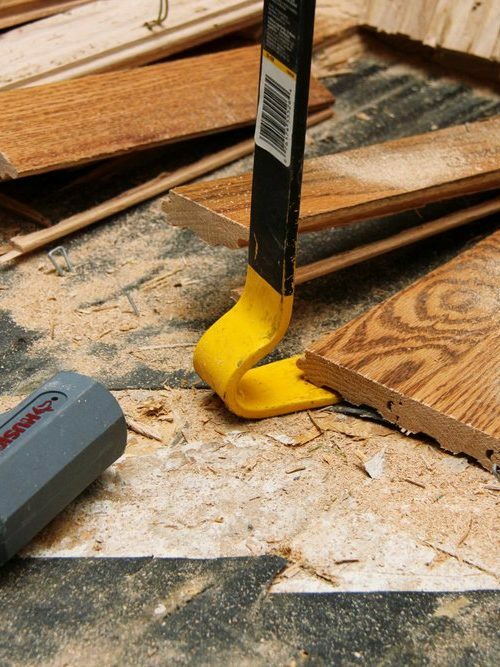 There are other types of demolition methods that could be as, if not more, effective. Of course, no matter the method, we have the experts to actually deliver high-quality results. Our main concern is always the safety of everybody. 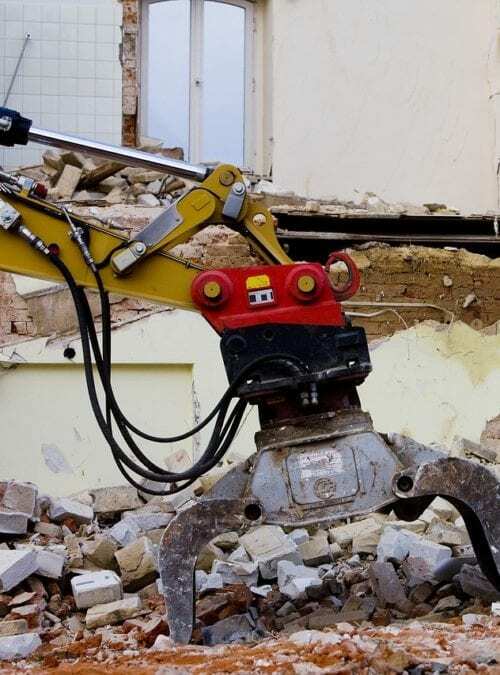 The National Federation of Demolition Contractors actually has a set of guidelines on the use of high reach equipment to ensure the safety of both the operators and the workers around the work site. However, technology has already surpassed the rules. For instance, back when it was crafted, the highest a boom can reach was only around 40 meters. The guidelines set the working radius for the operator. For instance, how far back the machine should be from the structure to be demolished to remain in the safe zone. However, you now have heavy equipment that can reach 50 meters and even the monster trucks with a height capability of more than 100 meters. 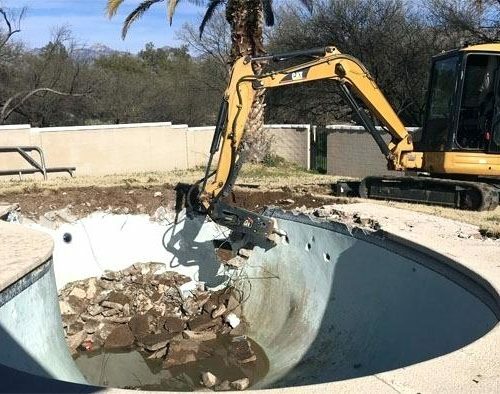 This is why it’s important that the skills and knowledge of the machine operators are constantly updated to minimize the risks to themselves and others. 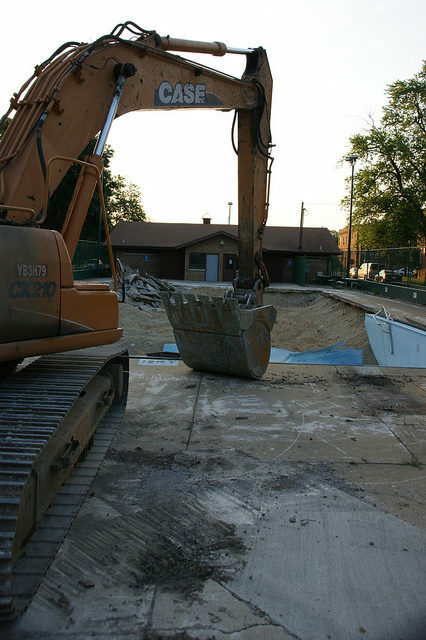 In fact, the demolition itself is a small part of the whole process. A lot of time actually goes to the preparation. We have safety engineers scoping the site first to determine the type of structure we are working with. The status of the structure and the potential danger areas. The operator doesn’t operate in a vacuum. He’s in constant communication with the safety engineers to avoid a premature collapse. 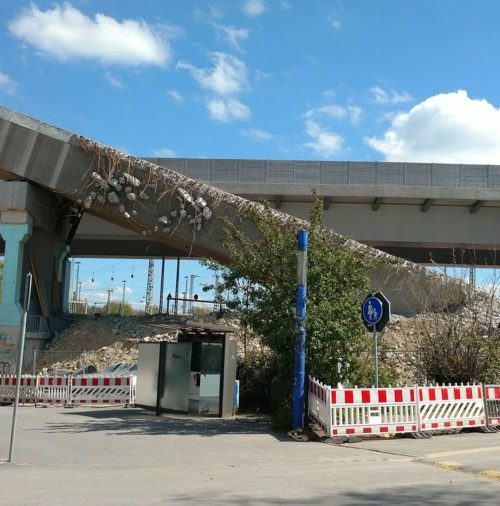 How to Compute the Price of Demolition? 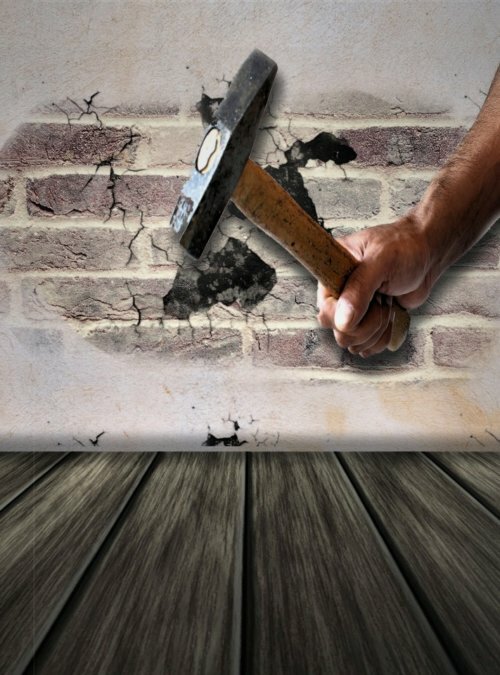 The average cost of commercial demolition in the US is between $4 and $8 per square foot. Let’s say you have a 100,000 square foot property, you can expect to pay between $400,000 and $800,000 for the services alone. That’s only an approximation since, in most cases, the cost goes down when the square footage goes up. 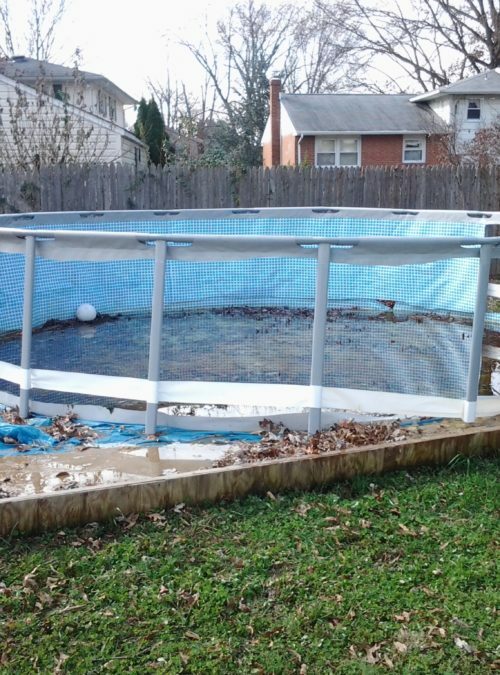 But there are attendant costs of the demolition. For instance, if there are asbestos, lead, and other hazardous materials found on site. They need to be removed first before the demolition can proceed. Then you have to factor in the licenses and the permits into the final cost. You have to know that the permit is computed according to the size of the building, as well. 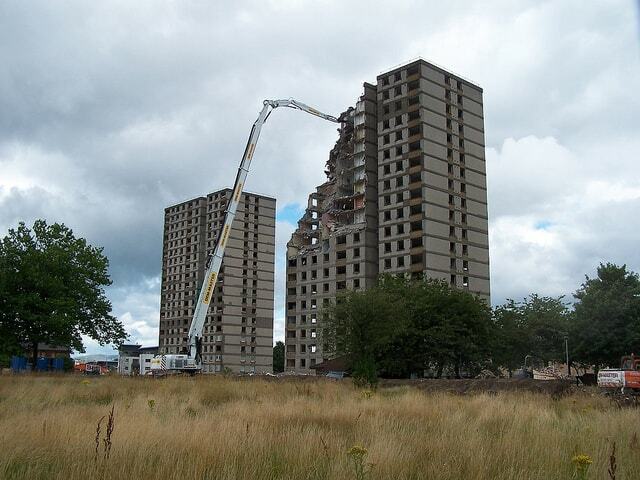 What’s the Timeline for High Reach Demolition? It’s hard to set a timeline when the high reach demolition will be completed. There are several factors to consider and a lot of them involve intensive preparation. 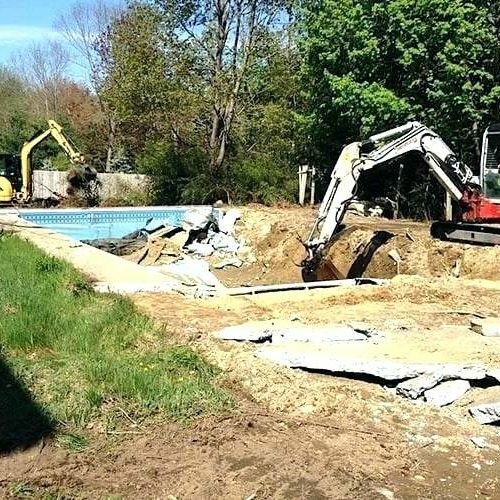 We have to inspect the location of the site first and the condition of the structure before we can make an educated estimate. 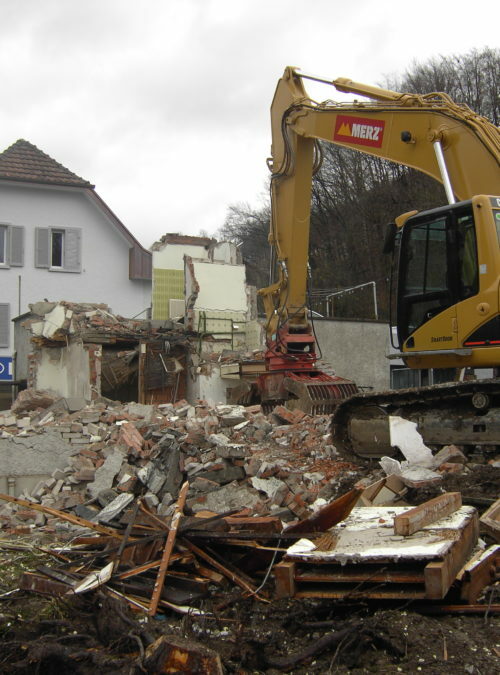 We specialize in all manners of demolition, including high reach demolition. Our safety record speaks for itself. We haven’t had a major incident in high reach demolition since we started. You can look at it in two ways: either we are extremely lucky or we are extremely good. We attribute our excellent safety record to preparation. 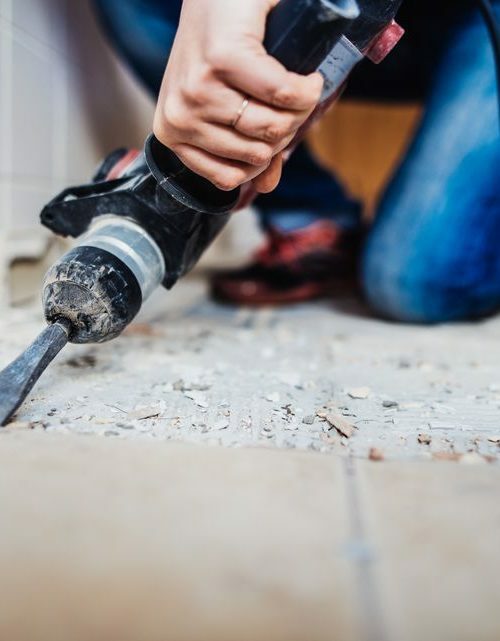 The whole demolition process may take only minutes but the number of work hours spent making sure that nothing untoward will happen can never be emphasized enough. Call us today for all your high reach demolition needs and find out for yourself why most of our clients are repeat customers.